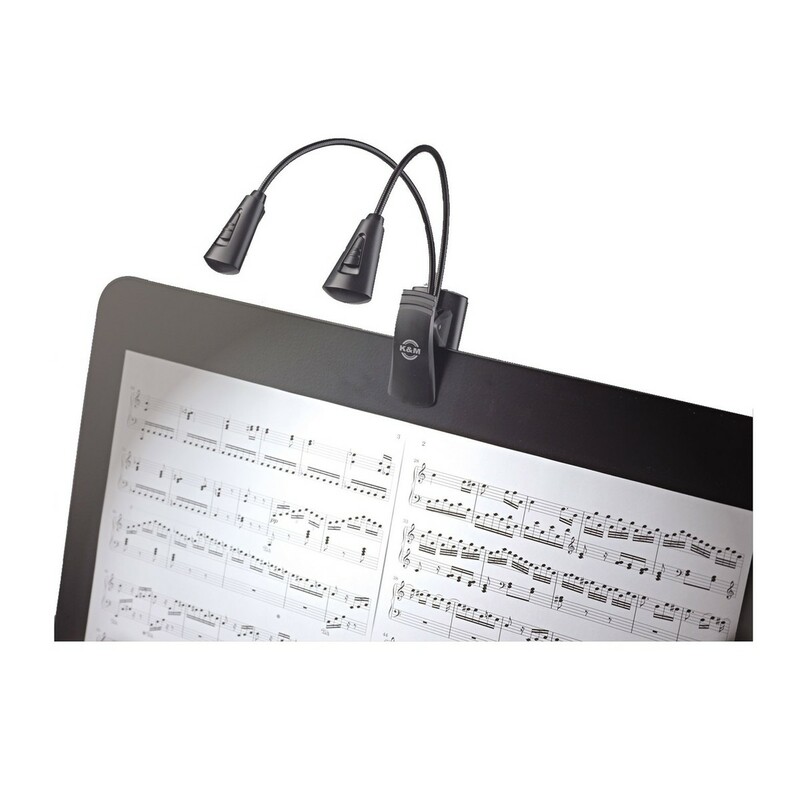 The K&M 12244 Dual Music Stand Flexlight features an extra wide clip, allowing the lamp to be attached to almost anything, or it can simply be used as a free standing lamp. 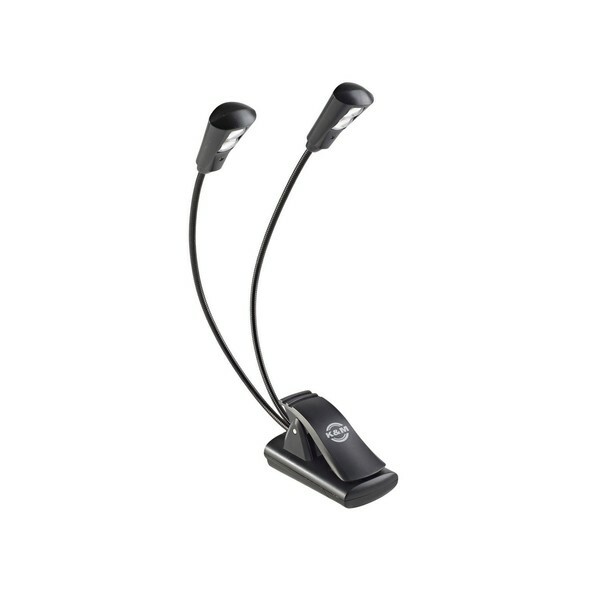 Deigned with 2 durable and versatile LEDs on each head rated to 100,000 hours, the Flexilight will keep your music readable in the dark. Its low power consumption means that you won't have to change batteries very often. With its stable design and flexibility, the lamp can be used to light up your music and instrument.